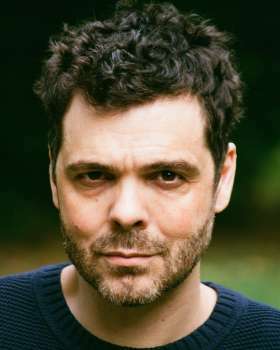 Justin's stage credits include LOVE FROM A STRANGER (Fiery Angel/UK Tour), MY BRILLIANT FRIEND (Rose Theatre, Kingston), LOT AND HIS GOOD (The Print Room), THE ONLY TRUE HISTORY OF LIZZIE FINN (Southwark Playhouse), OUR BROTHER DAVID (Watford Palace Theatre), BEASTS & BEAUTIES (Hampstead Theatre), A MIDSUMMER NIGHT'S DREAM (Headlong), MOLIERE (Finborough Theatre), AS YOU LIKE IT (Leicester Curve), DE MONFORT (Orange Tree Theatre), CHAINS (Orange Tree Theatre), NATHAN THE WISE (Hampstead Theatre), OTHELLO (RSC), EDWARD II (Shakespeare's Globe), A MIDSUMMER NIGHT'S DREAM (Manchester Royal Exchange), TRUE BRIT (Birmingham Rep), KING ARTHUR (Royal Opera House) & VENICE PRESERVED (Almeida Theatre). Television credits includes recently wrapping on MEDICI: KINGDOM OF GOLD for X-Files creator Frank Spotnitz, Isaac Bloom in 3 seasons of RIPPER STREET (BBC/Amazon Prime), Caleb in OBSESSION: DARK DESIRES (October Films for Discovery), DRACULA (NBC/Sky One), DOCTORS (BBC), DARK MATTERS (Science Channel), WHITECHAPEL (ITV), THE BORGIAS (Showtime), HOLBY CITY (BBC), MIDSOMER MURDERS (ITV), MERLIN (BBC), SPOOKS (BBC), CORONATION STREET (ITV), JUDGE JOHN DEED (BBC) & PERSUASION (BBC). Film work includes BRING ME THE HEAD OF MAVIS DAVIS and THE HACKNEY DOWNS.